When you think about your favorite color, it may not be your neighbors favorite color. That’s why choosing the right color palette for your home is extremely important. Extreme colors such as red, green and blue can come off as aggressive, so consider going a little softer such as neutral colors like pale greys, creams, and whites. It’s much easier for potential buyers to envision themselves in your space when colors are modest and unassuming. The same rule goes for your cabinetry as well. A little paint goes a long way. 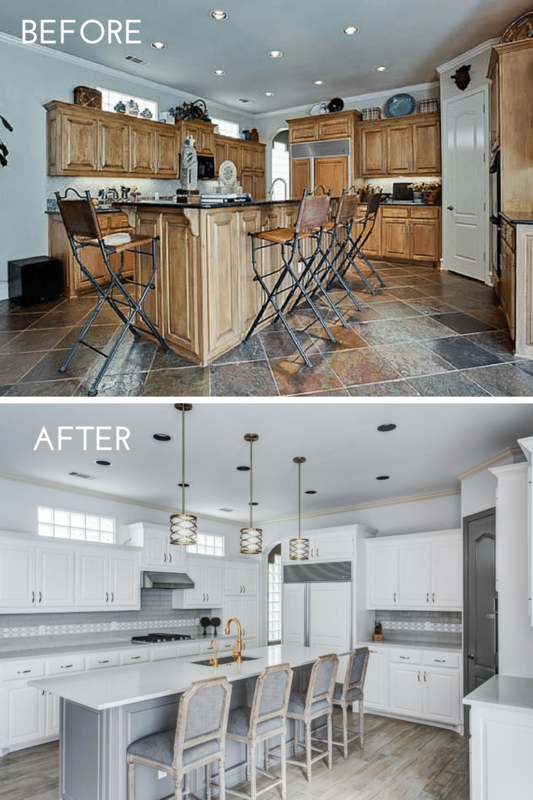 Painting your stained cabinets can make a huge difference in the space. Today many homeowners are white and bright kitchens. If you want to set yourself apart from other homes on the market (even brand new ones! ), swap out the “builder grade” finishes and incorporate designer elements (think backsplash, countertops, flooring, light fixtures). Today, homes are mass produced so in order to save time and money (unless the buyer is involved), builders will create a standard of finishes that are uninteresting. For example, floor tile used as the backsplash is very common with mass-produced homes. As a recommendation, why not swap out the backslash with a simple subway tile? 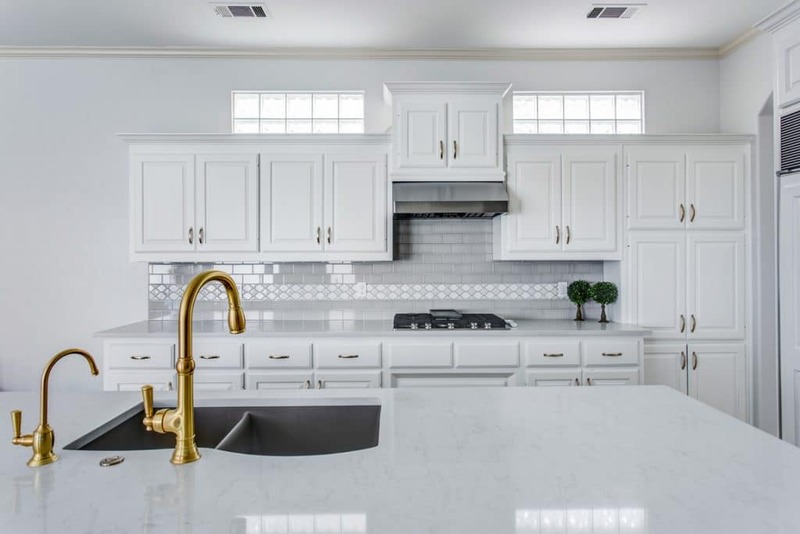 Subway tile is classic and popular among buyers! 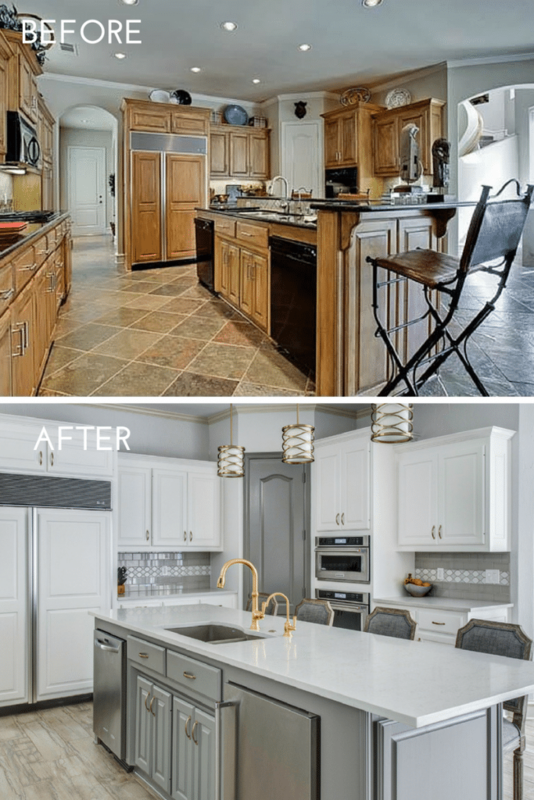 You can paint the cabinetry, install a new backsplash, and replace the countertops. But also think about adding some finishing touches that elevate the space and giving it more of a custom look. For example, why not install some hardware for your cabinetry? This is super easy to do! If you currently have the hardware but want to replace it, be sure to measure the center to center drill holes before installing new ones. In addition to hardware, think about the other fixtures such as the sink and faucet. If they are old and outdated, you want to consider a swap. A little investment goes a long way! If you want a quicker and easier sale, why not spend a little time giving your home some TLC. Plus, you may invest a little, but the return will be greater!